But it’s not too late to fix the harm we’ve done. “…a single one-half-inch dusting of compost on rangeland can boost the soil’s carbon storage for at least 30 years.” (1,2) Read on for more about this. If you don’t have space for compost bin or container, save up your food waste and take it to a to a friend’s compost bin, or check with our local community gardens to determine if they will accept your food waste. See Nourish the Flathead (5) for a list of community gardens in the Flathead (Kalispell, Columbia Falls, Whitefish, and Bigfork/Ferndale as of this posting). I added the link (5) to our home page under ‘Links’ in the right hand column. See their website (4) for more information. Many people do not realize what you can put into a compost pile and would be dumping [inappropriate materials], rather than just the compostable matter. For example, grass clippings that had been sprayed with fertilizers/pesticides, or non-compostable trash (plastics, etc.). With it open to the public, there would be little supervision over it; I would worry about what we would end up with. Would the “guards” at the box sites be diligent about turning piles regularly and keeping trash out of it? The potential problem of the piles attracting bears, which they sometimes do, that would set some people into a tizzy. 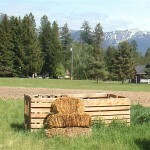 Would the county want to be hauling piles off to mature, then package for individual use? “The research showed that if compost from green waste — everything from household food scraps to dairy manure — were applied over just 5 percent of the state’s grazing lands, the soil could capture a year’s worth of greenhouse gas emissions from California’s farm and forestry industries. 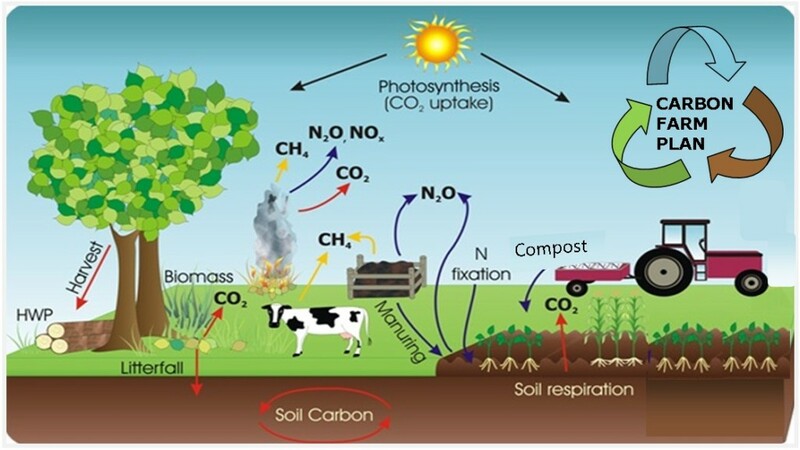 The effect is cumulative, meaning the soil keeps absorbing carbon dioxide even after just one application of compost, the researchers found. This entry was posted on Tuesday, May 24th, 2016 at 11:21 am and is filed under Agriculture, Community, Compost, Ecology. You can follow any responses to this entry through the RSS 2.0 feed. Responses are currently closed, but you can trackback from your own site.